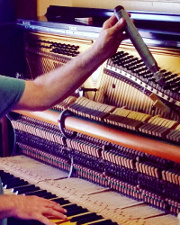 Having your piano tuned by a qualified and experienced piano technician is very important. Tuning is an important part of maintaining the health and welfare of your instrument. 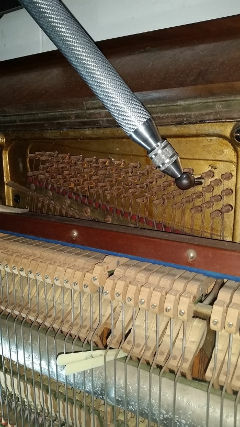 It is important to have your piano tuned every year, sometimes twice a year. 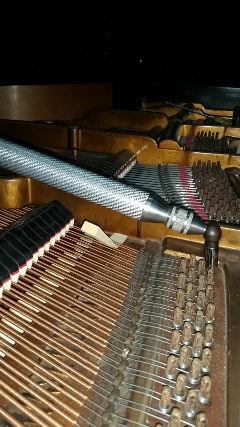 It is important to maintain your instrument at concert pitch when possible. Often, an old piano can be tuned ‘to itself’. This can be more than acceptable depending on the requirements of the piano player. My service also involves, during the tuning, inspection of your instrument for insect damage & some minor points of regulation. See my photos section for some pianos that haven’t been tuned regularly and insect damage has occurred.